It's day 23 of The 31 Day Nail Art Challenge and today's challenge is Inspired by a Movie! Any guesses on what movie my nails were inspired from? 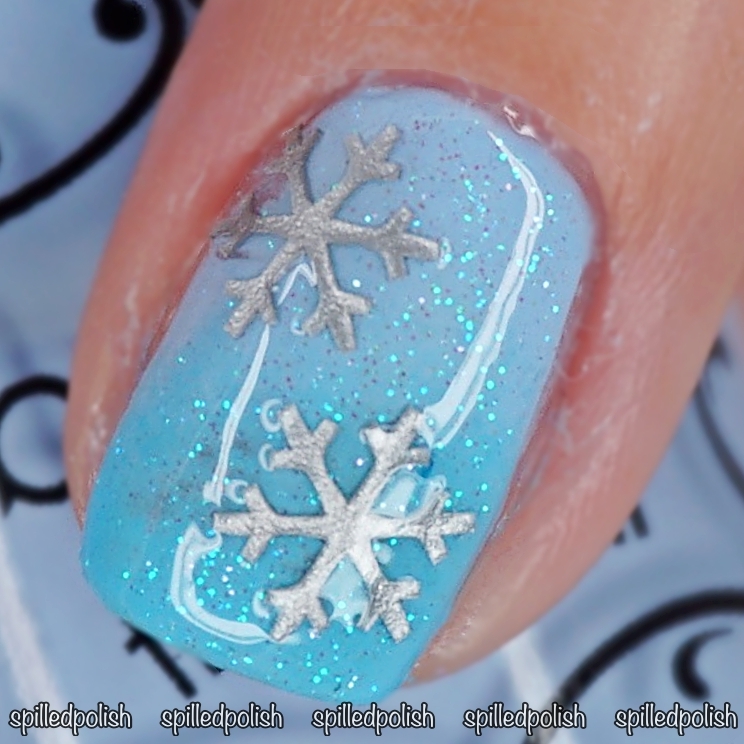 I'm not original and I couldn't think of any movie to base my nail art on.. so Frozen it is!! I painted my ring finger with one coat of Beyond the Nail - Bright White and sponged over it with a gradient of Beyond the Nail's Spring Blue Creme & High Tide. I applied one coat of Beyond the Nail - Mermaid Dust over it to make it sparkly, then stuck some Snowflake Nail Decals on top. I painted my other nails with three thin coats of Beyond the Nail - Blizzard. I topped everything off with one coat of PRO-FX - Quick Dry Topcoat.